Hello from my writing tower! I’ve been a hermit for the last few months, making few social media appearances while I focused on finishing the second and last book of the Chronicles Of A Dancing Heart duet. I am thrilled to announce that the sequel to Wicked Dance is now complete and in the hands of my editor at The Wild Rose Press. This book took me longer to complete than I expected. I needed it to feel right, and unfortunately, that sometimes means waiting for the muse(s) to talk. So to my loyal readers who have been waiting forever for the conclusion of this love story, thank you for sticking it out with me. I poured my heart into this book. Sara and Tom wrecked me. Beyond wrecked me if I’m being honest. I borrow a lot from life, whether it’s from events that directly impacted me, or things I lived through people around me, I tap into those experiences to breathe life into my characters. They feel very real to me because I live in their skin. Tom and Sara are imperfect people. They make mistakes and bad decisions like all of us at some point in our lives. When our heads and hearts are at odds, often times we end up doing and saying the wrong things. Sometimes we recover, other times, we live with regrets. Theirs is a hard-earned HEA, but I believe having to fight for your happiness is the best way to truly appreciate what matters the most in our lives. I seriously cannot wait for you guys to read this book. And hopefully, you will not have to wait too long. A few days ago I received an email that literally made me squeal. 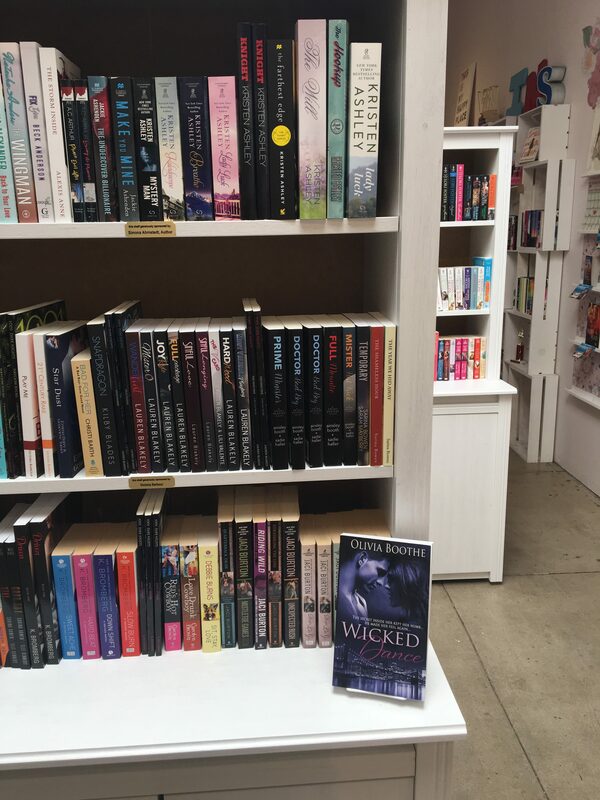 The Ripped Bodice, the only exclusively romance bookstore in America, informed me Wicked Dance would be joining their shelves. While my book has been out in the world since October 2017, and readers have been able to purchase print copies, there is something particularly special about having your book up on a real shelf. Especially, at a bookstore like The Ripped Bodice. I am so happy and honored to have my book housed at this amazing store and I only hope to be able to visit them soon and meet the owners, Bea and Leah Koch. So, if you are in the Culver City area, stop at The Ripped Bodice and check out their books! And if you happen to spot my book, take a selfie with it and tag me on Facebook or Instagram!